Tom was in Chelsea, London to carry out the installation of some shutters to a square bay window area for our customer Candice! 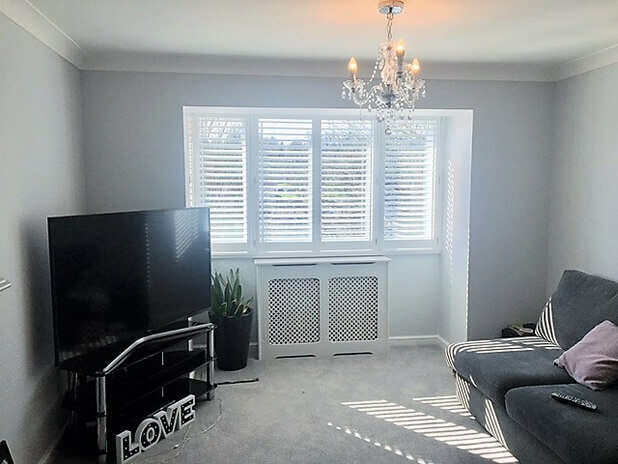 Candice was looking for a practical yet stylish window dressing for her property to help with lighting and privacy in the room which would look great with the rooms current look. 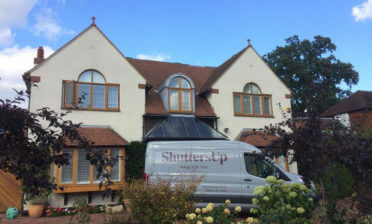 We created the shutters to perfectly match with the bay windows and you will notice if you look carefully that the bay only has a narrower window on one side wall which had to be taken into consideration when designing and planning the install. 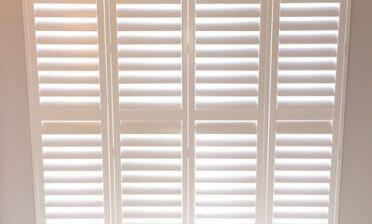 The shutters are created from our Antigua MDF range in a full height style, featuring 63mm louvres and offset tilt rods. 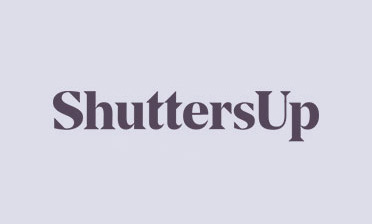 The offset tilt rods help add a touch of tradition to shutters in a modern room without being as overbearing as tilt rods in the centre of the shutters. We installed the shutters using plain stiles, 4 sided deep plane L frames and finished them all in a pure white with stainless steel hinges. 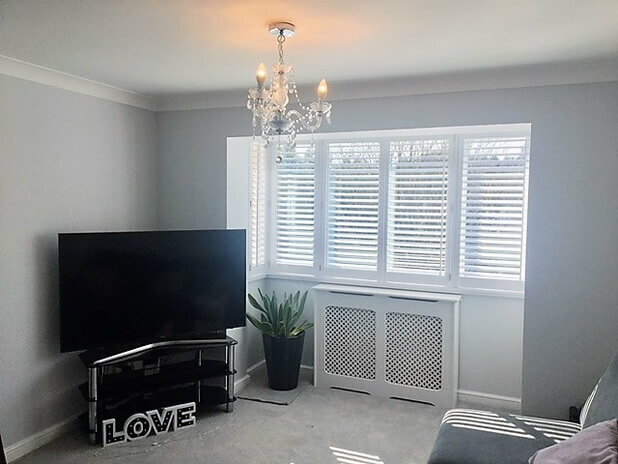 Candice was thoroughly impressed with the end result and we thing they really improve the bay window area, especially combined with her existing wooden radiator cover!